Just like the one's you played with when you were a child! 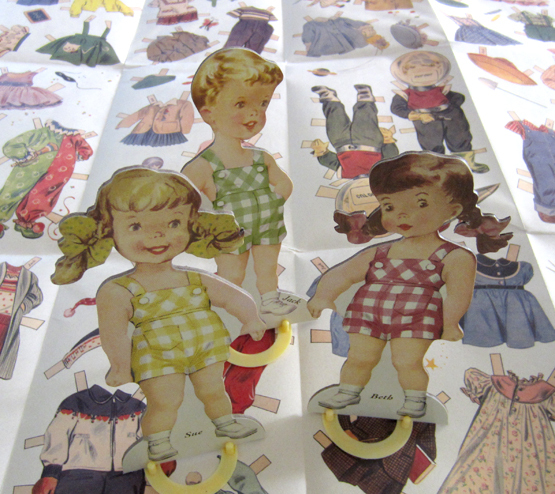 These vintage replica paper dolls are adorable! Set comes with 3 dolls (Sue, Jack and Beth) , 3 plastic bases and clothes & accessories to cut out and put on the dolls. Each doll is approximately 7" tall.